I n recent months, the role of the official press as a regulatory agency for the Cuban political system has been displaced by the so-called “alternative press” and its young journalists, trained at the university, who have migrated from the state media and are creating new, independent spaces outside of the state sector, such as El Estornudo (The Sneeze), Journalism from the Barrio, El Toque (The Poke) and On Cuba, where their profession is developing with (a little more) freedom. During the most recent gatherings of the Union of Journalists of Cuba (UPEC), the innumerable problems of the state media sector have been pointed out. More than 40 per cent of these media outlets are run by party officials rather than by journalists. These officials are accustomed to adhering to the party line without reservations, which has caused a rupture between the old guard communist reporters and young graduates. The political system, in the context of this media battle, has not been monitoring whether the journalism being practiced is true journalism. The professional practice in Cuba is dull and superficial; it is limited to absurd reports and triumphs, neither of which are attractive to the new generations. Thus, if the official press assisting in bringing about its own death, it is neither because of foreign funding to independent journalism (from the side of the opposition), nor because of a pair of small media with limited staff and political publishing houses scattered among us. It is because the “alternative” media offer, above all, the idea of a possible reform, the criticisms that should appear each morning in the pages of Cubadebate or Granma, if they really wanted to respond to the interests of the people, as mandated by the Socialist). Media (let us be frank) argue much of what many Cubans already want to hear. Although it is clear that they are still quite silent about the other side of reality on the island (they seem to have a tacit agreement with the government that they will not exceed certain limits), they lay out a critical spirit that the Department of Ideology does not like. This crisis has been a long time coming. Even if it was true that the official press brought together great intellectuals during the 1980s, journalism got worse in the 1990s reporting without any edge or nuance, without any room for discussion and without any criticism of social value. In any case, it seems that the government is not willing to lose control over the space that the alternative media is taking up. This is why articles published in recent months by Cubadebate, Granma and other official media have shown a strategy marked by a definite editorial policy: saving history is the only way to maintain the system. A simple monitoring of the state press in recent months reveals headlines that mark a return to the Cold War: “The goal is to destroy the Revolution”, “They want us to forget our history”, “Imperialism intends to take away everything we have achieved”, “The idea is to trample our flag”, “They seek to change our history”, “Why try to demarcate the coordinates of our utopia?” They appeal to the popular psychology as a way of turning the population against these new alternative media outlets. The new strategy of the official propaganda in Cuba tries to play upon the strong symbolic power that still permeates the national consciousness. These symbols help to forge the illusion that the system is obvious and self-evident, when in fact it rests on the continued and systematic exercise of the application of force, in a concept of closing ranks against young people who have migrated from the official state media, as well as in the repression against independent individuals or opposition activists that have become journalists. With this ideological campaign, the state media are seeking to gain ground to create digital applications for mobile phones, to organize themselves on social networks and to design a sentimental propaganda, capable of reviving the national history. The most recent campaign titled “Cuba is Ours”, designed by Cubadebate is an example. The objective is to rescue the symbols capable of moving the hearts of the people, and in the process, return to the “right path” some of the lost young people who support freedom of information. The Department of Ideology of the Communist Party has never been responsible for repressing journalists: it is the Ministry of the Interior that is in charge of drowning the independent media linked to opponents, such as 14ymedio or Diario de Cuba. The Department of Ideology is not interested in this type of opposition reporters. The Department of Ideology is more concerned about the young people, trained in Cuban universities, who are swelling the ranks of the new alternative media outlets. These younger journalists were not repressed with blows and detentions, or at least that was thought until the events of October: the three-day detention of Maykel González Vivero and the arrest in a hostel of eight other members of Periodismo de Barrio while covering the damage Caused by Hurricane Matthew in Baracoa. For the first time, the repressive apparatus caught up with the alternative media. The pretexts were broad. 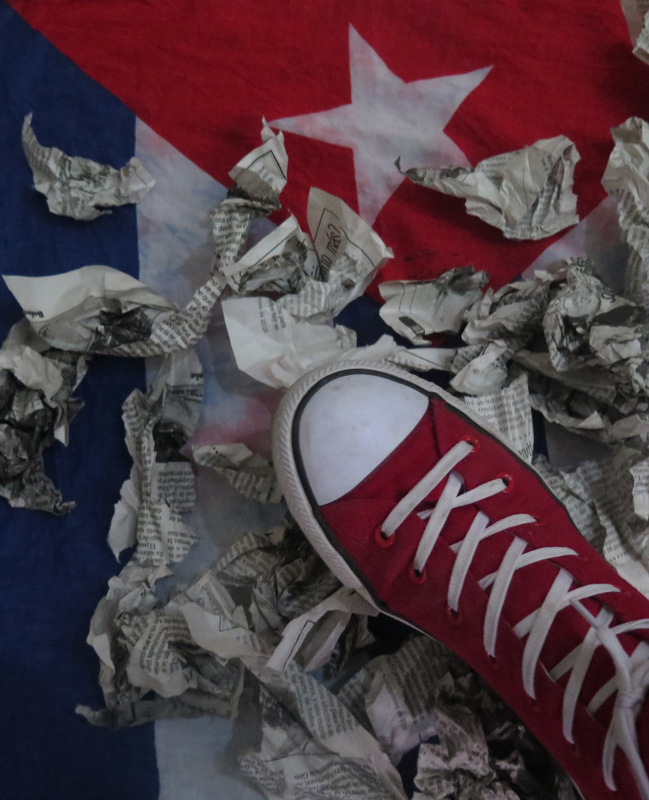 But a section of the Cuban penal code appeared as the immediate solution, because in Cuba, contrary to what is thought, no law regulates the practice of journalism. Thus, the crime of “illicit economic activity” seems to be the new formula for controlling information, under the pretext of not paying taxes to the National Tax Organization. Before the arrests at the end of October, during the summer of 2016, the so-called “Santa Clara Charter” exploded. Published by Javier Simoni, a journalist from Diario de Cuba, the charter had been kept secret for almost a month after a close social circle had passed it around. The document was prepared by the Basic Committee of the Communist Youth Union of the official Vanguardia (Vanguard) newspaper of Santa Clara and read in a provincial plenary of UPEC in that city in front of Alfonso Borges, the head of the Department of Ideology. Among other demands, the young people demanded the end of the official censorship and the political persecution to which they are subjected to by the most critical government supporters. They also showed the current divide between the theory of journalism from the university and professional practices in the media. The protest of Santa Clara represented an attack against the entire framework of censorship. And this happened within the same state structure and with irrefutable arguments. That’s why it hurt the government so much. That’s why it caused so much controversy. And that’s why Borges went to great lengths to keep the meeting a secret. The Santa Clara Charter unleashed repression from within the official system. One of the most affected was the former reporter for the Sagua la Grande radio station, Maykel González Vivero. He was fired from his job in August for collaborating with alternative media. Maykel and his boyfriend Carlos Alejandro Rodríguez, one of the drafters of the charter, have been harshly persecuted. Maykel turned to the Cuban legal system and even with irrefutable evidence of his innocence, he was dismissed, in clear violation of the Labor Code of the Republic.